Best Buy Windows & Siding LLC of Garland, TX has a team of experts with more than 100 years of expertise offering the highest quality home improvement products to Texans. We have been selling and installing custom replacement windows, vinyl siding, and professionally designed patio covers in the North Texas area for more than 30 years. We take pride in knowing that we deliver the best products and highest customer service every time we work with homeowners and businesses throughout the DFW area. With a population that has just topped 222,000 in the 2010 Census, Garland has become the 12th largest city in the state of Texas. The area blends the old with the new, with several older districts as well as new residential and shopping center additions. Areas of interest include the Historic Downtown Garland area, the Patty Granville Arts Center, the Plaza Theater, and the Pace House. 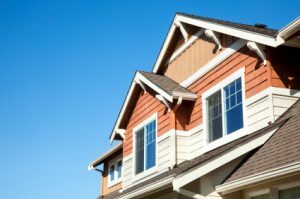 We work with many types of windows, top of the line vinyl siding, and custom patio covers, offering you expert advice and service to ensure you get the best choice for your home. Our qualified, knowledgeable technicians will consult with you to determine what’s most important to you. Whether it’s higher energy efficiency, better insulation for your home interior/exterior, improving the aesthetics of the home, or increasing the resale value of the home, we will satisfy your needs.